we enjoyed an extra long weekend, and even got out to go berry picking. instead of blueberries again (which i'm hoping i still have time for! 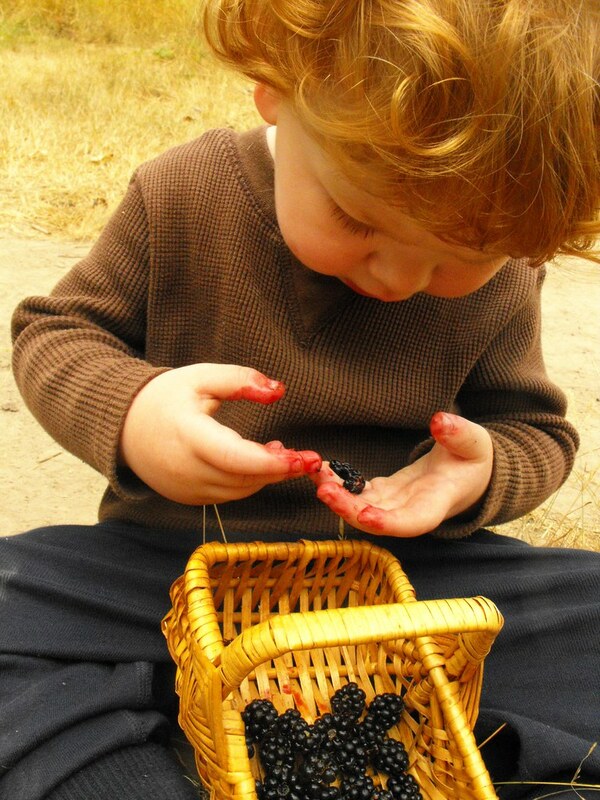 ), we decided to venture out to the sandy river nature area, and gather blackberries along the way. we had been before to seek some off-leash trail romping for the dogs, and this time we made it all the way to the beach. it was such clear, beautiful water - with dogs frolicking everywhere. 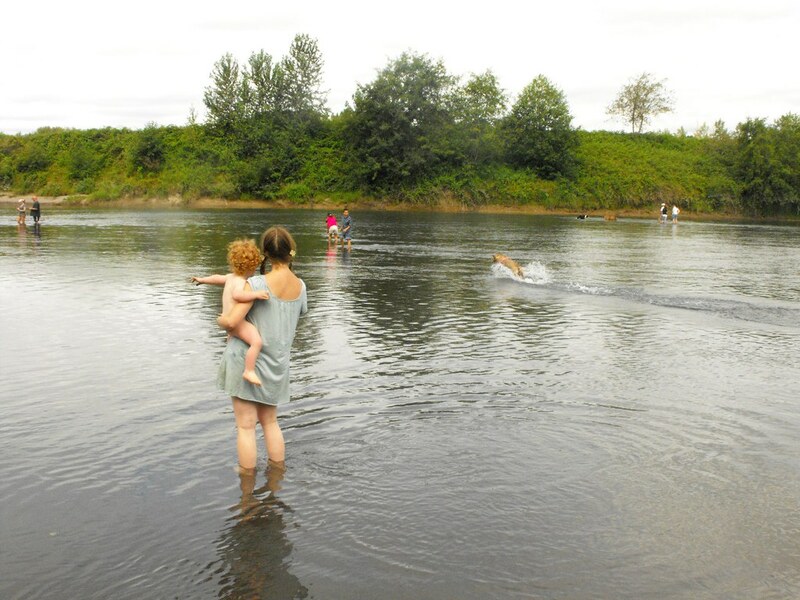 although we weren't exactly prepared for a swim, there was no stopping colden. the water was chilly, so he was in and out a lot! it runs straight down from mt. hood. this area was even more beautiful than the last we visited. after we got home, marc and i were able to make jam together, which was a real treat. (he did the pectin math too!) and we ended up with 13 1/2 jars. i am eager to fill more - everything seems a bit behind this summer due to the unusual weather. have you been preserving? any recipes to share? p.s. our regular camera refuses to work (too much sand we think), and our 'back-up' does not take the best pictures. you'll have to forgive any sub-par photography and/or lack of posts until i figure out a solution. we are thinking of selling our 35mm cameras (i think we have four!) and lenses in hopes that we could afford a digital slr. but it might be a while.